In the depths of a Siberian winter you can find warmth in cafes and museums, but paradoxically you can also find it underground. If the outside temperature is -30°C, down in a cave it could be around zero, or even a little above. Besides an escape from the cold, a trip to a Siberian cave also means bats, discovering archaeological remnants, stalactites and stalagmites and even underground lakes. The Bolshaya Oreshnaya Cave in Krasnoyarsk Territory (3352 kilometers from Moscow) is one of the biggest conglomerate caves in the world (conglomerate caves are made up of sedimentary rock). Deep in the taiga forest, it is made up of an endless maze of passages, galleries and grottoes and it reaches a depth of more than 200 meters, while its width extends over 50 kilometers. Experienced spelunkers could easily spend a week exploring this cave. Apart from beautiful stalactites and stalagmites, there is an abundance of soft, plastic clay here. Visitors use the clay to mold small sculptures and many have been left behind, including a castle, a spelunker’s head wearing a helmet, a Siberian peasant and many more. The Botovskaya Cave in Irkutsk Region is the longest cave in Russia at 62 kilometers long. It’s a popular destination for Russian spelunkers, but also attracts scholars from around the world. In the 20th century geologists found traces of an ancient man and a skeleton of the so-called tree bear (Ursus Selenarctos) here, which used to live in the area up until 40,000 BC, the only skeleton of such an animal ever found in Siberia. Visitors climb into Botovskaya Cave to admire the incredible stalactites and stalagmites and its numerous underground lakes. People also come to train in sport climbing, where you climb using permanent anchors embedded in the rock and use your fingers’ grip and hands and feet – and not ropes – to pull you up. The Tavdinsk Caves are one of the most visited places in the Altai Mountains (3,641 kilometers from Moscow). This natural monument is located on the left bank of the Katun River on the border between Altai Territory and Altai Republic. A visit to the Tavdinsk Caves is interesting for both skilled spelunkers and families with children, as well as those that have never been in a cave before. The path stretches for about five kilometers with more than 30 caves connected to one another offering different levels of difficulty. Whereas most cave tourism in Siberia is organized independently or through specialized groups, guided tours are available around the more popular routes here for about 400 rubles (about $6). One of the underground excursions ends at an observation area that offers great views of the Katun River valley, while another finishes at the water’s edge. The Tavdinsk Caves are located in an area packed densely with sites including Lake Aya, Lake Manzherok, the Kamyshlinsk Waterfalls and the Arzhan-Suu spring. Directly adjacent is the archaeological park “Perekrestok mirov” (Crossroads of the World) with rich exhibitions that offer visitors a window into life during the Stone Age. The unique Barsukovo Cave is located in Novosibirsk Region on the rocky banks of the Ukrop River (2,981 kilometers from Moscow). Every year hundreds of tourists, spelunkers and scholars visit this cave to see the largest winter colonies for bats in this part of Siberia. It is also a great place for beginning spelunkers. In summer this underground kingdom is practically uninhabited, but it is a completely different situation in winter when it becomes a shelter for hundreds of kinds of bats included on the Red List of Threatened Species. Walking through the grottoes and mazes of the Barsukovo Cave, pay attention to the multitude of narrow passages, niches and cracks in the walls, as this is where bats spend the winter. 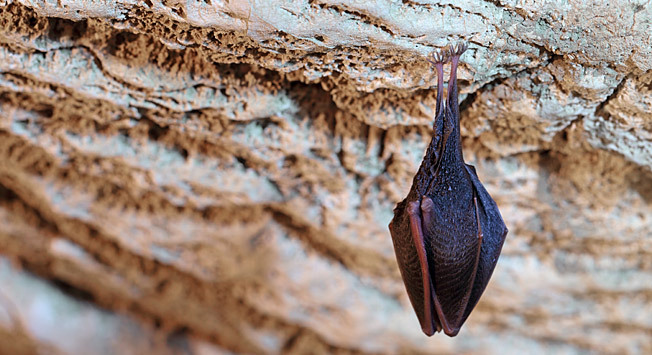 From mid-September until mid-June the bats do not just hibernate but even go into anabiosis, in which they assume the temperature of the surrounding environment: from 0 to +10°C (32-50°F). In order to safeguard the ecosystem, it is very important to remember some simple rules of behavior for any cave. Avoid shouting or blinding bats with the flash of your camera or your flashlight and do not try to wake them from their slumber. If bats are woken up they may not be able to survive until spring. The best way to observe bats (which are not dangerous for humans) is by using an LED diffuse flashlight. The Bolshaya Oreshnaya Cave is located four kilometers from the settlement of Oreshnoe and 130 kilometers from Krasnoyarsk; there is an asphalt road leading there from the Krasnoyarsk-Minusinsk highway. The Botovskaya Cave is near Lake Baikal, just 90 kilometers down the Lena River from the village of Zhigalovo in the Zhigalovsky District of Irkutsk Region. The Barsukovo Cave can be found in the Maslyaninsky District of Novosibirsk Region, next to the village of Barsukovo on the right bank of the Ukrop River 140 kilometers from Novosibirsk. Visiting the caves without adequate equipment or experience can be dangerous.